The other day, I was chatting with a professor about his teaching workload in the ongoing semester. He admitted that he had a fantastic run with an elective course that had more than a hundred students. With the examinations already underway, he was dreading the deluge of the answer scripts that would follow! He was also engaged in a research project involving blockchain applications in solving a community problem. Our discussion veered toward the blockchain technology and its applications in the real world today. Most applications of blockchain are centered around finance, (virtual) money, governance, public health etc. Education has found an interesting application too in ensuring that one can access the certificates and marksheets securely and with full confidence about their authenticity. You may want to listen to this McKinsey podcast discussion about blockchain concepts. The conversation with the professor started me thinking about more applications of new technologies in education. One of the most draining tasks in a professor's tenure is the evaluation of answer scripts. The task is quite repetitive, not full of academic discoveries barring those rare gems and takes away time from what could have been more rewarding activities like research or consulting. This looked like the perfect recipe for a tech intervention. Artificial Intelligence has come a long way already in making sense of a paragraph beyond the elementary spelling and grammar checks. The idea isn't novel and has been in the making for at least a couple of years. This article from Aug, 2017 mentions about the experiment in US and Australia and ends with a word of caution from some teachers. AI systems, unlike their predecessors in rule-based computing algorithms, learn from their experiences and over time, gain a much deeper understanding than a human brain. Currently, they may lack the understanding of creativity but they are very good at doing the repetitive tasks in a quicker manner. We are moving beyond the mundane matters of OMR-based answer sheets to now make sense of a written word in the right context. Some simple algorithms existed already in trying to "rate" the essay in Statement of Purpose that colleges receive every year from thousands of aspirants. But these were simple keyword searches and couldn't have been used as definitive assessments. We are now able to design AI-based systems that do medical diagnosis from MRI scans! On another front, the AI systems are also able to compete (and defeat the best humans) on games like Chess and Go. It may sound simple as compared to these winning examples but evaluating answer scripts from different student minds is not an easy task. The "model" or "sample" answer script, against which the answers are evaluated, can't be an exhaustive sheet, specially, in the fields of humanities or social sciences. 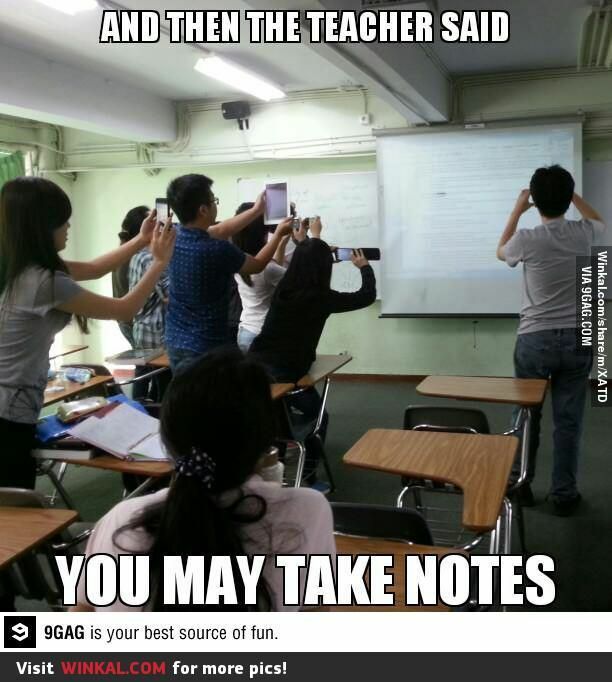 It involves an open mind to identify originality, creativity and underlying understanding of theory rather than applications of mathematical formulae.Since most exams are still conducted on paper today, it adds an added complexity of recognizing human handwriting through Optical/ Intelligent Character Recognition (OCR/ICR) technology. If we can crack the code to use AI in evaluating answer scripts, and assuming that we move to type-written answer scripts, the opportunity of setting up a central BPO operation for multiple colleges/ universities is huge. More importantly, this will lead to a more personalized feedback mechanism to aid the teaching assistants and tutors to help the student better. Data-driven analytics will feed back into the faculty's teaching to improve quality too. A 2016 TEDx Talk by Prof. Ashok Goel from Georgia Institute of Technology demonstrated use of an AI-powered chatbot to handle student queries effectively and virtually freed up the Teaching Assistants' time. When we hear contrarian voices about people losing jobs to AI and robots, we need to remember that human brains need to focus on the "new" rather than the "old and regular" work. Instead of worrying about the job losses, which are quite inevitable, we need to find out what our brains are capable of beyond intelligence and let technology take over the routine stuff that it can learn over time. Does technology really reduce work? This week, I came across an interesting news article that quoted Frances O'Grady, the general secretary of the Trades Union Congress, an organization in the United Kingdom representing labor unions. "I believe that in this century, we can win a four-day working week, with decent pay for everyone," O'Grady said during a speech at the TUC's annual gathering in Manchester, England on Monday. My personal experience over more than two decades of working life in India has been a mixed bag. There are primarily two ways in which technology impacts a worker's life. First, the efficiency increases. This translates to more work in lesser time but then mostly, the work itself increases to occupy the time gained. This is typical of situations where technology intervenes to perform the same task in mostly similar manner but in a "faster" way. Imagine a cashier in the 70s doing calculations manually and then using a calculator in the 80s and then on an Excel spreadsheet in the 90s. However, I am sure the cashier wouldn't have seen herself free of work due to this change over the decades. That's probably because technology was trying to make it quicker for the cashier to do the enormous amount of work that was piling up. As a result of this speed, her desk started clearing up faster and the manager piled on more work. In some cases, another cashier might have been thrown out of job to give the extra work load to this "computerized" counter. The second way in which technology impacts a worker's life is, ironically, extended working hours. There was a time when our parents came home from office and just relaxed. I never saw my parents carry work to home because that would have involved carrying bulky files. Even if they could have managed to carry some file home, the "connected" work dependency on other colleagues and files would have rendered the activity useless. Look at the situation today... Work itself is now on cloud and the mobiles (that are more powerful than the entire computing devices of an erstwhile office put together) have made it "light-weight" to carry work home. Moreover, the connectivity through virtually free-of-cost calling and whatsapp messaging has made it easy to get help from colleagues and other work files. This has meant that the poor worker is never off-work. In fact, it is increasingly becoming very hard to go on a vacation without feeling guilty about not being connected to work, while wanting to stay connected with your friends and family through social media. In an interesting study about working hours per week conducted for the young millennials in 2015, it is quite evident that technology was not really helping matters. There are fundamental questions that we need to address before we begin to think of how technology can free up man-days from our work week. The first relates to the context of availability of resources. For instance, when I saw a fully automated self-payment enabled counter at a Retail Store in Melbourne, I was taken aback by the "impersonal" treatment while marveling at the technology and trust. In India, it would seem foolish to remove people who smile and interact with you at the checkout counter of a superstore. Foolish, also because you wouldn't trust customers to pay without trying to cheat. This is also the reason why your Boarding Pass gets checked by at least 4 humans before you board the plane in India while not a single human looks at it in Singapore today! The logical argument to this phenomenon is to provide employment to people when the government is always looking worriedly into the unemployment statistics. The next context is about commercial feasibility. A few months back, I was astonished on seeing a group of 4 people using a earth-boring contraption to drill for water. The sight that confounded me was that of the sheer manual force being used instead of the usual electric power. From my vantage point of the pre-conditioned notion of seeing boring done in cities, this was a complete reversal. But then it made definite sense in that rural area set 50 kms away from the Lucknow city. It would have cost a fortune to get the boring machine to the site. Moreover, the electric power may not even be available at the site. Some times, especially, in the developing world, the notion of using technology seems like an unnecessary and overstretched piece of imagination. Lastly, as a wise man had commented, "work stretches to occupy the available time". This also holds true for the time left unoccupied by technology. I have often seen people overstaying in the office beyond the office hours and completing work that could have been done in regular hours. That's probably because the deadline is for end-of-day and this is literally taken as midnight by a lot of "hard-working" people. Besides, you run the risk of getting more work (probably from a less-efficient colleague's desk) if you finish yours faster! I am quite certainly sure that technology will have the desired impact only if it is implemented with a clear objective of freeing up human time. That will involve rethinking the complete process rather than a mere replacement of human task with tech-enabled task. And then the humans will, hopefully, get over the idea of working in office at the cost of family or social time. What are the most self-damaging statements a young professional can make? As a young man starting my work life, I joined a forging company. Like everyone else of my age, I had big dreams of making an impact, earning respect and rising up the ladder quickly. Like most others, I thought that people up the hierarchy probably didn't deserve the status they had earned. I knew for sure that hard work and sincerity in my work was the key to success. Very soon, I had many people reporting to me and some of them were my father's age! I became a Shift In-charge managing the maintenance function and had one particularly highly talented electrician in my team. This man was an expert trouble-shooter who, as legend had it, could tell the problem by smelling a circuit board. At the top of the plant hierarchy was the General Manager, who became the Vice-President of the Group in just about 2 years that I was there. He had risen from a plant supervisor to the Vice-President in less than a decade of joining the company. Legend also had it that he could tell you that a particular bearing set was worn out on hearing the press "cry" while passing by the factory in his car. The comparison with my expert electrician was stark and made even more conspicuous because of the fact that both had joined the company together at the same rank! This VP gentleman, however, could also tell the problems in an account statement, give expert opinion on raising debt from the market and help the marketing interns reach out to new clients. The Electrician stayed, more or less, where he had been. 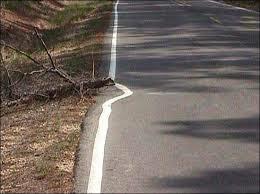 The key difference between the two men was the single statement "That's not my job". Mr. VP made it his habit to reach out to other colleagues over cups of tea and made an effort to understand their work. He made sure that he was available for any "menial" work in any department at any level. In my considerable work experience at different levels, I have seen those people moving up faster who haven't held themselves chained to their allotted work. Statements like "Am I supposed to do all the work?" or "Why don't you do it yourself if you think you can do better?" don't go down well with your manager. But more importantly, these statements are damaging their own future career more than anyone else. My advice to young and not-so-young professionals is to cross-skill and up-skill before you get out-skilled! It is rare for an Indian city to transform itself and then sustain the effort to a level where people make cleanliness a habit. Indore (a city in MP with 3.2 million population) is a case in point to prove that a great plan and greater execution can make a huge positive change. In my last visit to the city, I was overjoyed to see the herculean task of city cleaning happening at night with a gusto reserved only for the foodies' delight at the city's Sarafa Bazaar or Chappan. I was also informed that the organic waste converted into compost was sold at Rs. 2/kg to the public to encourage greenery. The city's municipal corporation introduced a "third bin" to dispose of sanitary and medical waste, tried public shaming on FM radio channels, set up composting units at the waste source like the large vegetable markets and painted the town red with public messages about cleanliness! A song sung by Shaan is now the city's anthem for getting the act right and is played in all the 800 plus garbage collection trucks. These trucks are cleaned daily too to give them a clean look. All of this has had positive fallout for the city. Not unexpectedly, Indore's "Muni bonds" that debuted at NSE earlier this month were oversubscribed 1.26 times and generated more than Rs. 200 Cr. for the corporation. Market rewards a good track record. Someday, all cities in India will follow the Indore model and transform their filth into green! And we wouldn't have to look overseas for motivating stories of change. What does IT mean in an educational institution? In the early 90s, IT in an institution meant PCs, Laptops, LAN cabling and often people confused Electricity with IT. A couple of decades later, IT additionally started meaning Software, Mobiles, Apps and probably, more headache (read, work) for a lot of people working in these institutions. Today, IT "interferes" with almost everything in a campus. None of the functions can work without internet, solutions like Excel or Word, mobile apps or, in our case at O P Jindal Global University, even a food coupon vending machine. We are aggressively pushing IT usage in almost every aspect of a student's life, knowing well that these will bring more and more responsibilities on the small IT team. New skills need to be developed, not just within the IT team but even outside! If most users still panic only when the WiFi fails for an hour or a Projector system fails to connect within 2 minutes, it is not entirely their fault. The essence of IT infrastructure is that it should work behind-the-scenes silently and efficiently, just like water, air or electricity. The residents seem to understand that Power switch-over may take 15 minutes or water taps may run out due to maintenance needs but they can't remain disconnected for that long. A Skype or Video conferencing call may be happening with their colleagues in another country or a large contingent of eminent personalities may be waiting impatiently for the projector to connect. These instances are indicative of criticality of IT services in today's context and must ring alarm bells in the top ranks of service providers. A larger question is about the role of IT in the institution's strategy and direction. The litmus test is to see the constitution of the Board to verify if IT has a representation in it. We are yet to see this happening in educational institutions and we continue to see the representation of HR and Finance and in some cases, the Infra team if the institution is in an aggressive growth phase. IT representation in board meetings becomes limited to ensuring that the Powerpoint presentation runs well on the projector! If educational institutions want to make projections into the future, they have a near impossible task if they don't think of IT as a strategic partner. How does one be prepared for a future that will see more learners outside of a campus than inside? How does an institution plan for a future where their students will not be from a definite geography? How does one get ready to launch academic courses and research programs if the courses will need global collaboration using technologies not prevalent today? high-value transactions. At O P Jindal Global University, we have replaced a manual process of calling students' parents for approving gate-passes by an automated IVR-based calling process. As an immediate impact, the hostel staff could now focus on calling parents for feedback and longer chats concerning their wards. Subsequently, we released another upgrade to allow the parents to approve their ward's gate-pass request by clicking on a dynamic link. In other situations, IT can help solve operational challenges to manage costs (like a mobile app for meal coupon tracking), ease processes (by installing a mechanized RFID/ Biometric-based entry-exit gate) or improve efficiency (by automating the sticker generation process for conducting anonymized examinations). These measures drive home the point about taking IT as a central pillar that drives innovation in an institution and impacts almost every aspect. As a visible reminder of the potential of impact on other departments, at OPJGU, we call our IT department as the Office of Innovation. IT must bring about the change in an institution's working and strategic planning. And as with most other things, this change starts at the top. We are fortunate to have the leadership at OPJGU take cognizance of this fact and allow the Office of Innovation to make interventions that have long-term impact on the institution's vision.